The power of crystals and semi-precious gemstones has been used since time immemorial for healing and the restoration of energy. Stones have been heated and cooled from within the core of the earth and are as timeless as the planet itself. 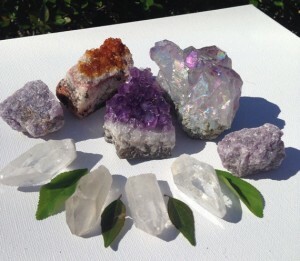 Many believe that crystals and gems contain their own type of energy field. Since each crystal is constantly in motion, they do emit a frequency of their own. Crystals have been used for healing at least as far back as 4BC. The Egyptians, Chinese, Romans, Greeks, and Sumerians all believed in the power of crystals. You will find many modern day scientists who say that stones and crystals have no power and that any benefits derived from them is purely the placebo effect. However, isn’t an effect the same, regardless of how it got there? Whether you were healed by a crystal, the power of your mind, or the power of medicine, the healing still took place. For a dazzling New Year, for protection in 2017, for healing, for clearing spaces from the negative energy from 2016, or just for plain old beauty, you can’t beat crystals. Let’s take a quick look at the top 10 most popular crystals you can use for healing and what they mean. If you aren’t sure where to start or if you are simply looking for a general, all around positive energy vibe, you can’t go wrong with turquoise. This beautiful blue stone with black running through it eases depression, fear, anxiety, and exhaustion. 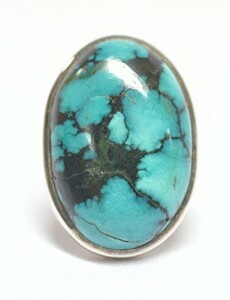 Turquoise will help improve your meditation and brings balance, as well as positive thoughts to the forefront. Turquoise is available in many different forms, but we really liked the one we found here. For those who are in serious need of stress reduction or those going through a life change, such as a divorce, the loss of a loved one, menopause, or insomniacs, amethyst is a very powerful force. Beautiful, lavender amethyst balances the hormones of the body and not only stimulates the immune system, but increases the metabolism as well. It eases feelings of stress, tension, even headaches! This is the perfect stone for healing feelings of grief, blood related illnesses, and support of healthy lungs. 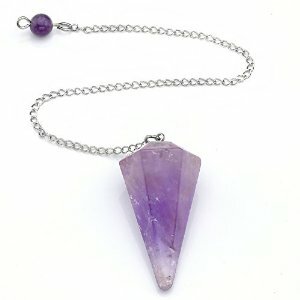 Don’t forget that amethyst is the birthstone of those born in February. What a beautiful gift this would be! This beautiful sky blue stone balances the 5th Chakra, which will increase your communication skills, promotes feelings of joy and bring you good fortune. This is the perfect stone for writers, artists, or when you want to convey a heartfelt apology. Blue Topaz is known for facilitating the thought process and helps you express ideas and complex concepts. For the body, blue topaz is strong enough to fortify the nerves and improve digestion. 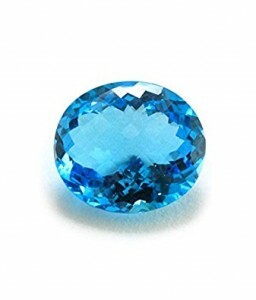 It has been said that blue topaz, when worn around the neck and throat area, helps to fight eating disorders. You can see a really beautiful necklace and earring set here. Blood red rubies are the symbol of the vitality, of life itself! It encourages self love and passion by allowing the wearer to release destructive emotional patterns. These beautiful stones help to improve our motivation and set new goals for our lives. On the physical end, rubies are said to cleanse the blood, stimulate the heart, and restore our life force. 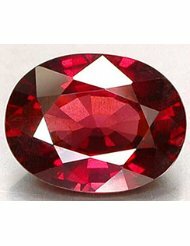 For the elderly or anyone who is depressed, the gift of a ruby would be a welcome one! Rubies are the birthstone for July, but what a fantastic Valentine’s day gift this one be! Sometimes mistaken for Turquoise, this stone has a soothing quality to it that clams both the brain and central nervous system. When someone has suffered trauma or intense fear, this stone can help to heal those emotions and memories. Amazonite has a soft blue color allows an increase in confidence and balances the male/female energies in the body. For those suffering from problems with osteoporosis, this stone is believed to improve the absorption of minerals, especially calcium. It can also help with poor dental health and the prevention of muscle spasms and cramps. 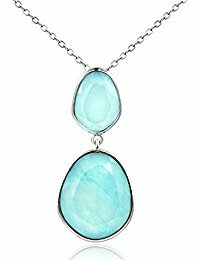 You can see a really georgeous piece of Amazonite here. Some people call this the “money stone” as it represents absolute power! Its deep orange/gold color gets one centered and allows you to feel the strength and confidence of your own power! 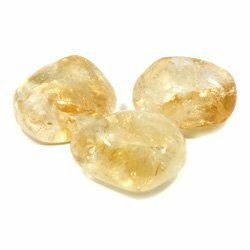 Beautiful citrine invites wealth and prosperity into your home. You might see this stone set inside a merchant’s front door or cash register, to invite money to stay for a while! This is also thought of as the “brain” stone, as it can be a powerful brain stimulator. It increases concentration, clarity of thought, brings relief from nightmares, and some say it enhances psychic powers if one already possesses them. Whether you prefer a beautifully mounted piece of citrine, like this one, or if you prefer a loose stone to keep in your pocket or purse, like this one, you have nothing to lose by adding one to your life! The pure beauty of rose quartz is enough to win over even the most broken hearted soul. Often referred to as the “love stone”, rose quartz stimulates feelings of love, caring, forgiveness, friendship, and compassion. Rose Quartz, with its soft pink hues, helps to heal emotional wounds while it stimulates the circulatory system of the body. Some say that this is the stone you want to give to increase fertility, to prevent miscarriages, and help to heal those who were bruised by love. One of the most beautiful rose quartz crystals we have ever seen is right here on Amazon. On the other hand, one of the most unusual ways we’ve seen this stone used can be seen here. This classic stone is very powerful and should be worn by anyone who has a high stress job or someone who sits in front of a computer all day. 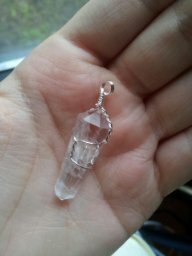 This super clear crystal brings light and energy into our body. 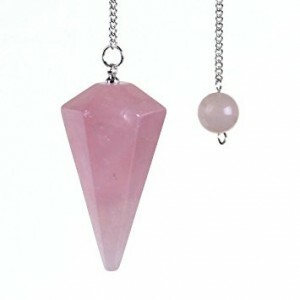 It is powerful protection from negative thoughts or environments and amplifies any other stone worn near it. Crystal quartz neutralizes radiation while keeping the immune system in balance. Placed near the computer monitor, this stone will repel electromagnetic radiation. This is the perfect stone to bring you clarity of thought, harmony, and balance. If you have never seen a crystal quartz “wand”, check out this beauty here. When speaking of crystals, black is the color of strength and power. If someone you know is going through a difficult or challenging time in their lives, this would be the perfect gift. 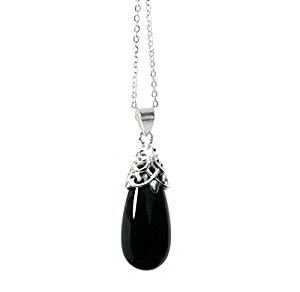 Onyx calms fears and worries, which allows for better decision making. It’s also been said that it increases good fortune and keeps people more grounded. Onyx is known for its ability to help with skin problems, such as inflammation or infections. This stone needs regular cleansing, so be sure to leave it in direct sunlight for a few hours or wash it regularly in salt water. Most people like to wear onyx on a bracelet. This is one of the best we’ve ever seen! The calming blue color of moonstone is sometimes called the “feminine stone”, as it helps to calm the nerves, charges the feminine energies, and eases feelings of stress. 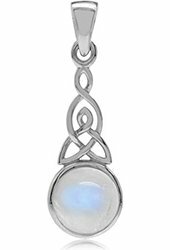 Moonstone is said to help women going through pregnancy or menopause, as it balances the hormones in the body. This is the stone of choice for women who are pregnant, are breastfeeding, or going through menopause. It can also help those who suffer from severe PMS. Be careful, however, as moonstone has been said to open the mind to powerful forces, which can be overwhelming for those who are very sensitive. True moonstone can be hard to find, but take a look at this 8 facet moonstone wand! Keep in mind that crystals have different levels of quality, much like anything else in this life. For example, a perfectly clear quartz crystal will work better than one which is cloudy. No two crystals are exactly alike and many have overlapping qualities. If you find that one crystal is not working well for you, try another that has similar properties. 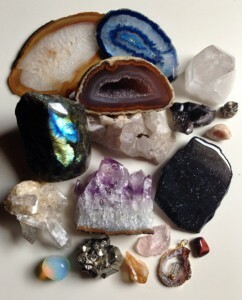 Crystals are as beautiful as they are powerful and they are one of the true treasures of this world. Happy New Years to you and your family. May 2017 be a great year for everyone!